Bryston says that, for most people, there will not be an audible difference between the BDP-2 and the BDP-1. The BDP-2 has a different processor and motherboard with 8 times the memory and 3 times the file handling speed of the BDP-1. 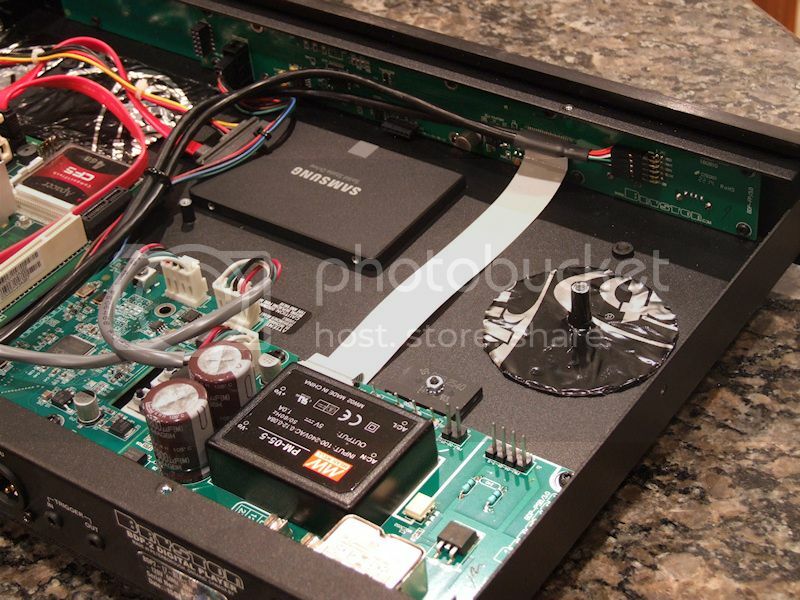 The BDP-2 also has a significantly improved power supply. Both players use the same [email protected] sound card. 1. The ability to more efficiently handle large music libraries. 2. The option to mount a solid state drive internally. 3. An eSata port (which is faster than USB) for connecting external drives. Figure 1. 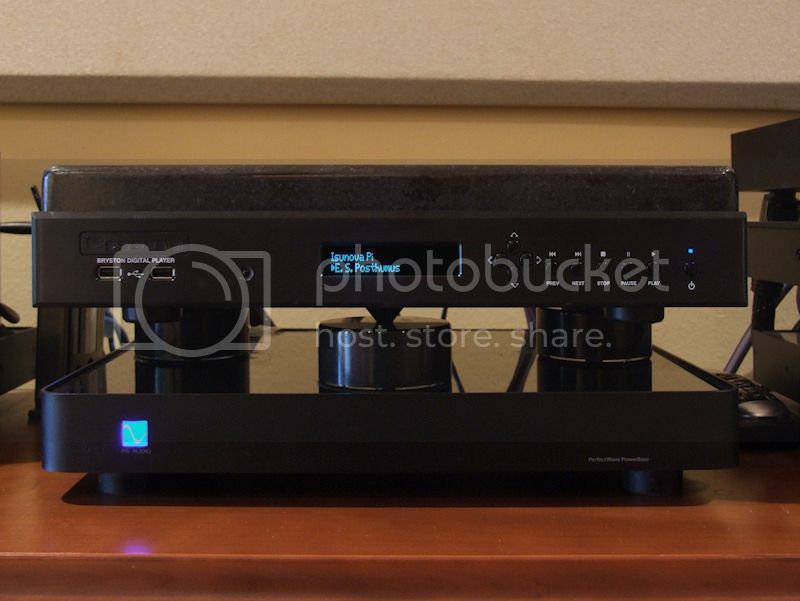 My BDP-2 is sandwiched between a 22 pound slab of black granite and a PS Audio PowerBase isolation platform. In my system, the differences between the BDP-2 and BDP-1 were immediately obvious. I began taking listening notes immediately after installation, but the first formal critical listening session did not occur until after 500 hours of continuous play, with short breaks when cables were changed or external drives were connected or disconnected. I love it when a new piece of gear sounds great right out of the box and gets better with burn in. Figure 2. The sonic difference's between the BDP-2 and BDP-1 were immediately apparent. Figure 3. The BDP-2 impressed from the very first note. The BDP-2 paints a sonic landscape with more depth, more holographic imaging, more clarity, more detail, more tactile sensation, and more image weight. One of the most striking things was the way ambient information was rendered. There was a more clearly defined sense of echoes and decays travelling in a specific direction and being reflected from a specific direction. The acoustic envelope of drum sounds that originated at the rear of the sound stage maintained sharp definition as they traveled toward me and naturally died off. The BDP-1 has been installed in my home theater system. 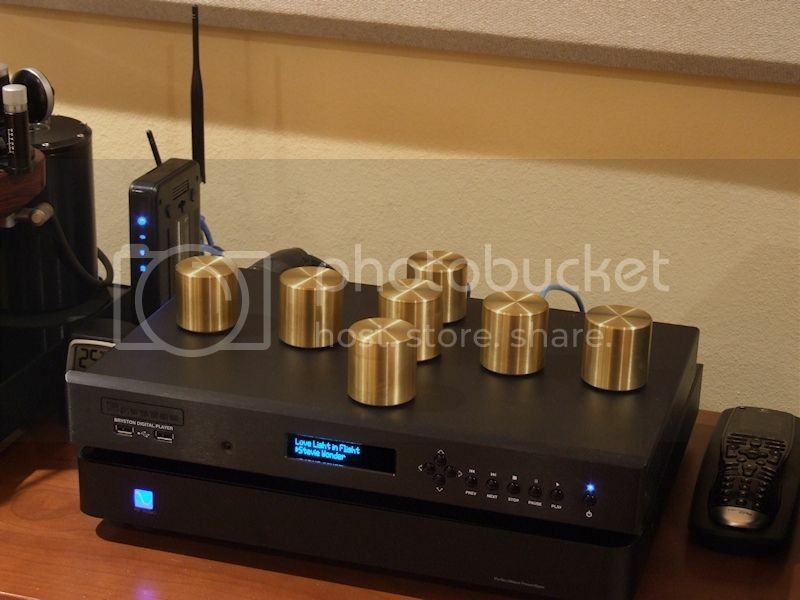 I am strongly considering acquiring another BDP-2 (and a DAC) for my system at work. 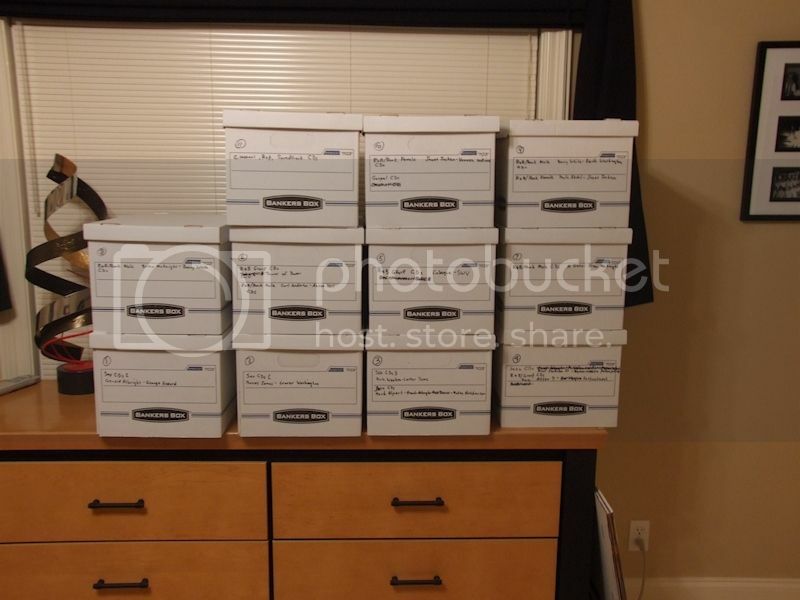 This would enable me to have my entire music collection at work. The digital cables used were Signal Cable BNC-RCA digital coax and Signal Cable AES/EBU (XLR), Hosa AES/EBU (XLR), Hosa BNC-RCA digital coax, Acoustic Research digital coax, and Revelation Audio Labs Prophecy CryoSilver digital RCA-RCA coax. With the RAL cable, I had to use a BNC-RCA female adapter (Radio Shack part number 278-303). The RAL cable was significantly better sounding than the other digital cables. I did not hear differences among the other digital cables. Like the BDP-1, there is a difference in the sound quality among the BDP-2's AES and coax outputs, with coax sounding best, then AES. I could not compare the sound of the BDP-1's and BDP-2's USB outputs because I do not currently have a DAC with a USB input. During the BDP-1's evaluation in October-November of 2014, the BDP-1's USB output was the third best. 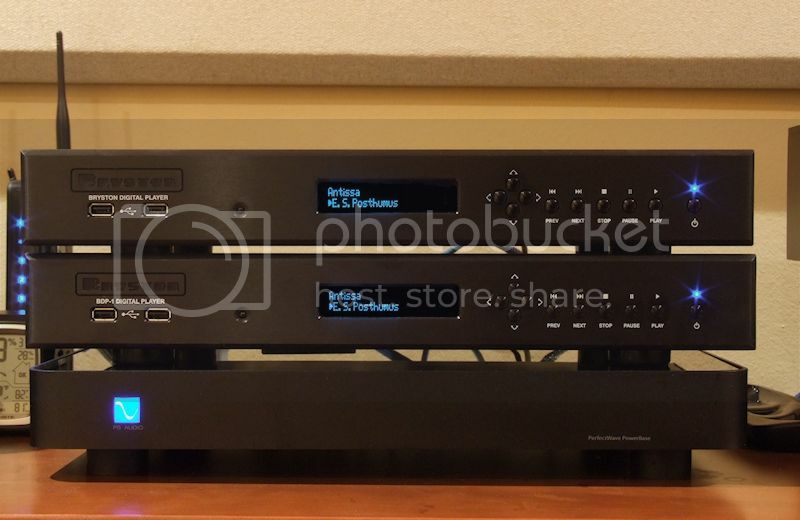 My DAC is the DAC section of a Cary Audio CD 306 Pro Version SACD player. Listening comparisons were done with the BDP-2 put at a disadvantage: The BDP-1 was connected to the Cary through its best sounding coax input and the BDP-2 was connected to the Cary through its second best AES/EBU output. The BDP-2's AES output sounded better than the BDP-1's coax output. In other words, the BDP-2's second best output sounded better than the BDP-1's best output. Figure 4. BDP-2 on left. No wonder it sounds better. It has more stuff inside. My favorite music files (141 GB) are stored on a 500 GB Samsung 850 EVO solid state drive mounted internally in the BDP-2. I did not hear a difference or notice a file access time difference between mounting the drive inside the BDP-2 or attaching it to one of the USB ports with a cable. 1. I have the ability to store my entire digital music collection in a very small (and portable) space. 2. 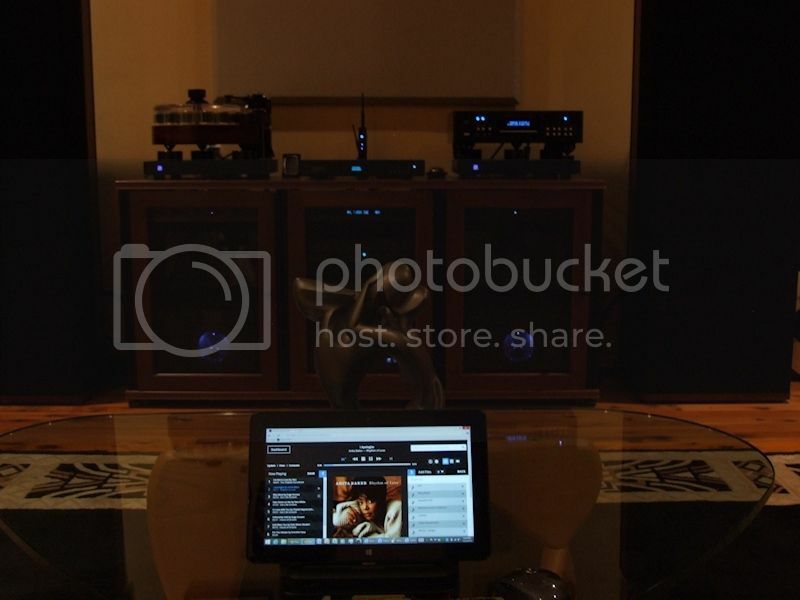 I am able to manage and access that my digital music collection from any computer or smart phone in my home. My entire CD and SACD library comprises 645 GB and fits on a 1 TB Samsung EVO solid state drive which is contained in a Vantec NexStar CX aluminum enclosure measuring 1.5" x 4.75" x 8.5". 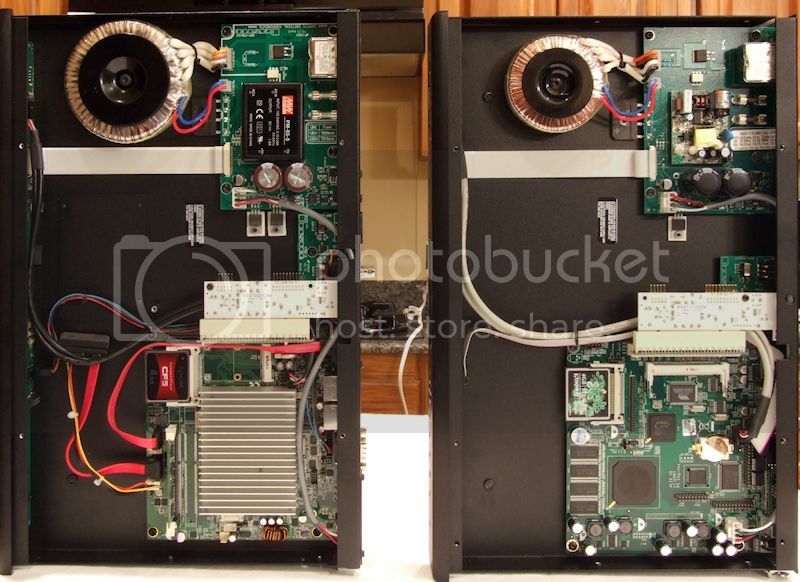 The enclosure is connected to the BDP-2 via an eSATA cable. Figure 6. 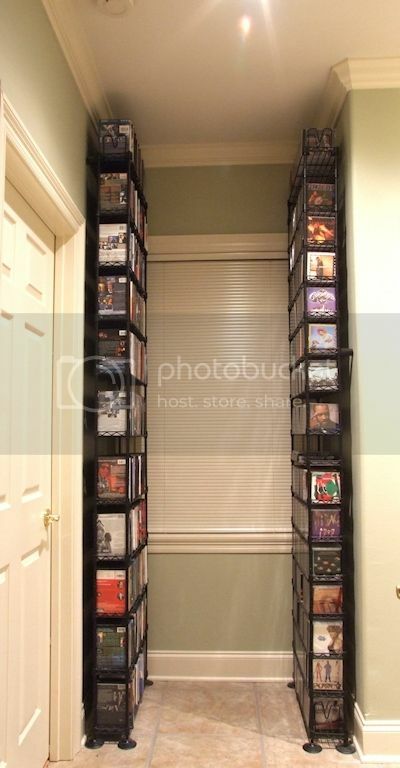 Most of my CDs and SACDs were stored in the 8 foot tall rack at the right (DVDs and Blu-rays are in the left rack). 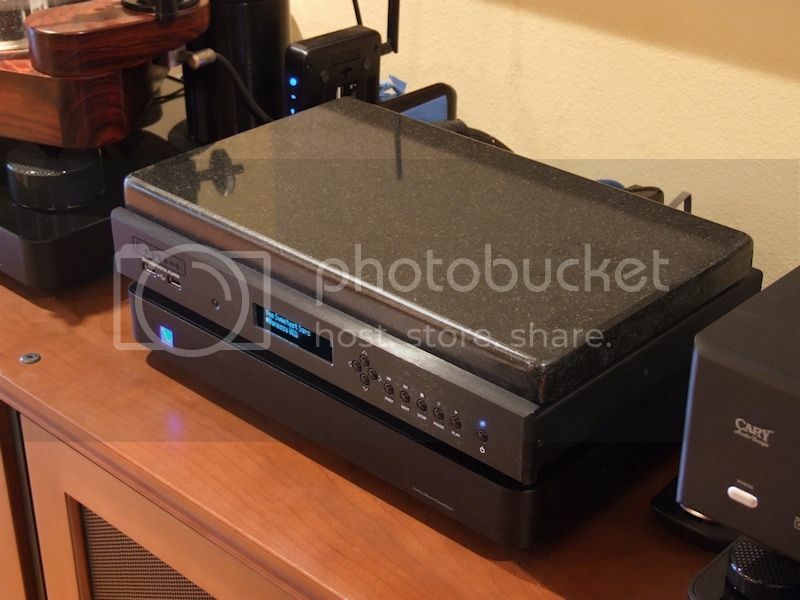 The vacated CD/SACD rack was reallocated to DVDs and Blu-rays. I was about to run out of space in the video disc rack. I only had space for ten more titles. My video collection will eventually be transferred to a video server, but I am not in a rush to do it since movie watching is an occasional activity. Figure 7. 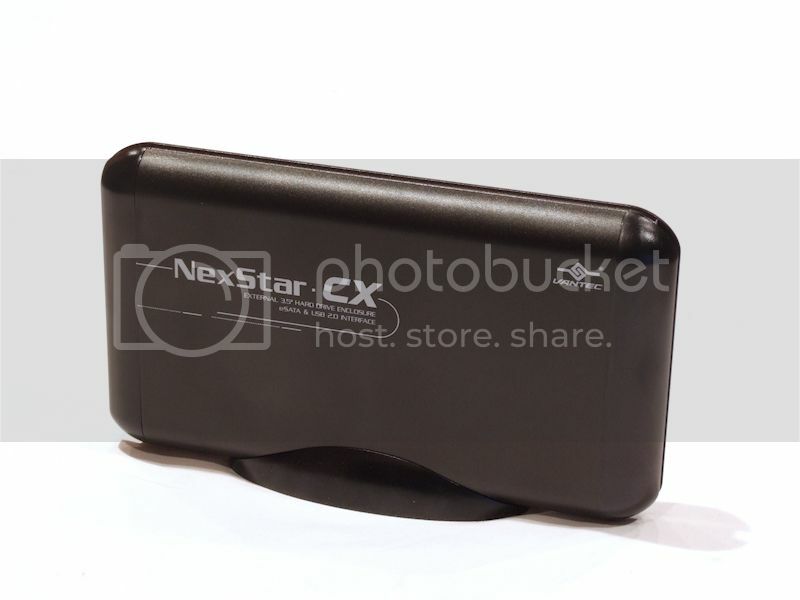 Vantec NexStar CX enclosure for Samsung solid state drive. My entire digital music collection, comprising over 1000 discs, only took up 645 GB of a 1 TB solid state drive that can fit in my pocket. It took 3 minutes-15 seconds for the BDP-2 to scan and catalog the 12,933 files on the 1 TB external solid state drive. Figure 8. Most of my CD's are in storage in the attic. Figure 9. The BDP-2 is controlled by a Dell Venue Pro 11 tablet computer. All of my playlists from the BDP-1 were copied to the BDP-2's user/playlists folder. I had to change the extension of the playlist files from "m3u" to "txt" so that I could do a batch edit of the name of the solid state drive in the song file paths. The extension was changed back to "m3u" after editing. I use dBPoweramp to rip CDs to lossless FLAC files. It takes an average 2 minutes to rip a CD. The ripped CD files sound better than the CD. 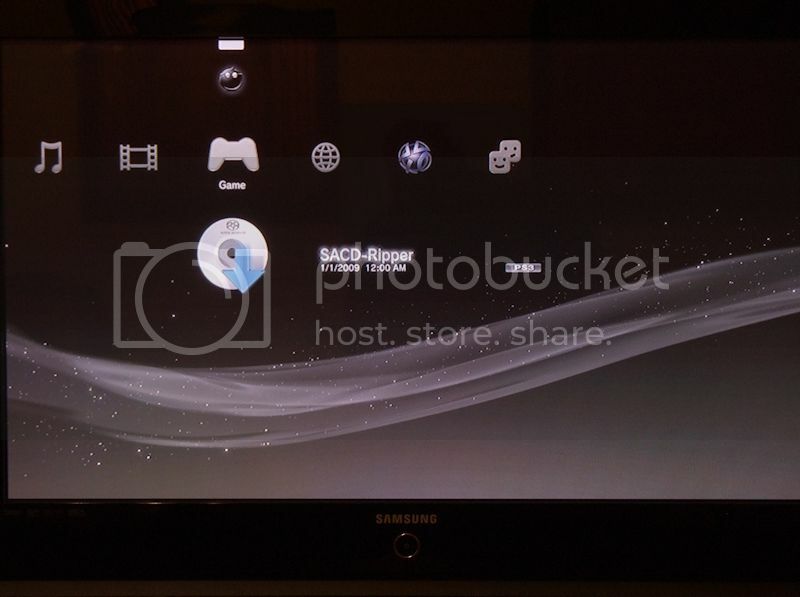 I use a hacked Sony PlayStation 3 (model CECHE01) to rip SACDs to dsf files using Sonore's free ISO2DSD software. Unlike the case with CDs, I do not hear a difference between ripped and disc-bound SACD's. With the PS3 connected to my home LAN and ripping to my computer, it tool about 8 to 12 minutes to rip an SACD. Ripping an SACD to a USB thumb drive, using the PS3's older and much slower processor, drive took 35 to 45 minutes. Figure 10. PlayStation 3 SACD ripping workstation. 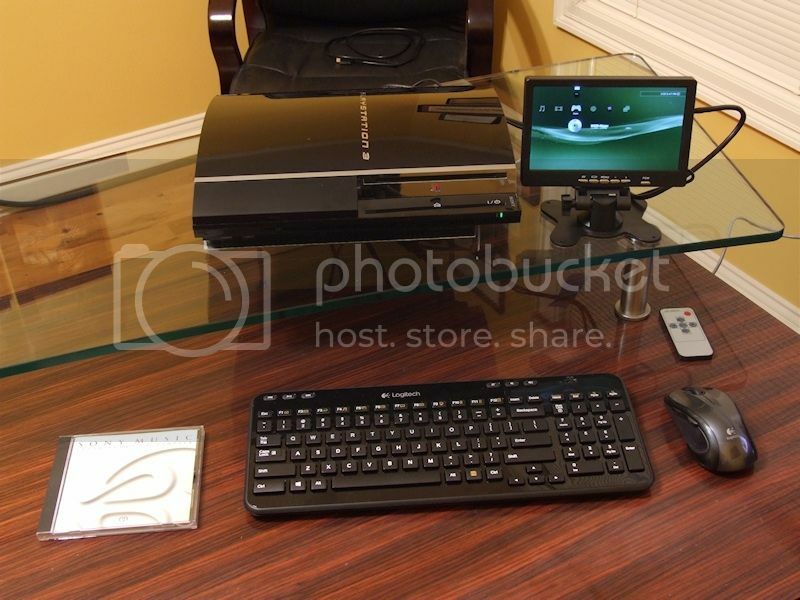 My SACD ripping station consists of a hacked Sony PlayStation 3 (model CECHE01) a wireless Logitech keyboard, a wireless Logitech mouse, and a cute little 7" Andoer video monitor. Before I purchased the Andoer monitor, I used my home office's Samsung plasma TV as a monitor. Figure 11. Such wonderful software. Many thanks to the SACD ripping community for their excellent tutorials and free software. Figure 12. Adding 15 pounds of brass weights improved image weight and depth. The BDP-2 only weighs 12 pounds. The PS Audio PowerBase isolation platform does not work with components weighing less than 15 pounds. Therefore I needed to add some weight. The edenSound brass dampers worked well, but I didn't like the aesthetics of that solution. 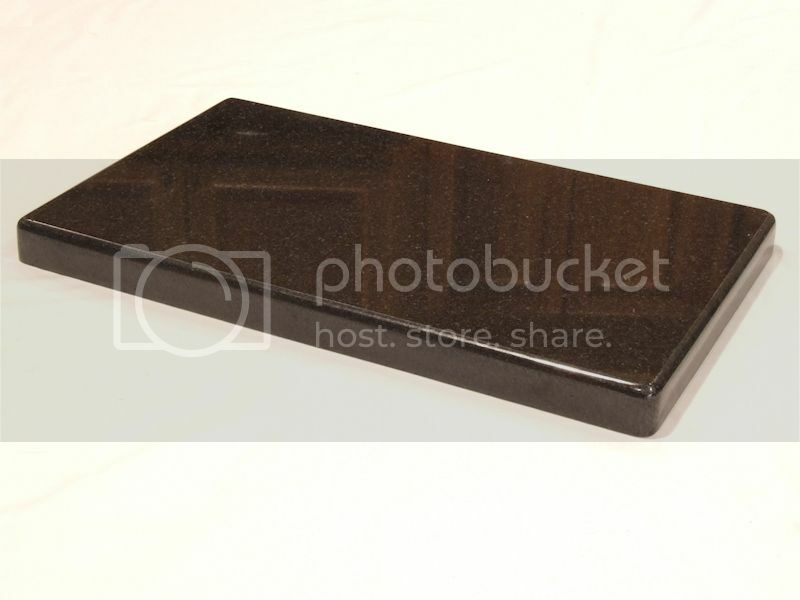 A 17" x 10" slab of polished black granite weighing 22 pounds met aesthetic requirements. I did not hear a difference between the 15 pounds of brass and 22 pounds of granite. Figure 13. I went to a local granite dealer and picked out a nice 1-1/4" thick remnant to be cut and polished...$55 + $5 for a pack of 1" felt pads. 1. Twenty-two pound granite slab - image weight, bass weight. 2. HiFi Tuning Supreme power line fuse - clarity and detail. 3. PS Audio PowerBase isolation platform - image weight, bass weight. 4. PS Audio AC-12 power cord - bass weight, bass articulation, bass detail, overall clarity. 5. Dynamat Xtreme (1 square foot total applied to chassis bottom and sides and cover) - no sonic performance improvement, stopped cover from ringing when thumped. Yet another exemplary post and review. I don't pretend to your knowledge and skills with respect to all things audio, but I really appreciate the range and depth, as well as the technical analysis, in all your write-ups, reviews of equipment, and posts. Your wit is another great characteristic of your writing! PS: I still don't know where you will take us in the rabbit hole when you really get serious about this hobby! I have found that hard drive based files just sound more natural than CD based. What's your opinion on my observation? I believe it to be something to do with laser data retrieval, and imperfections in CD surfaces that don't exist with a hard drive file. Does that hold any water in your experience? CDs player have what is called 'read' jitter from the imperfections of stamping pits in a plastic disk. That is why there are 5 figure transport only devices to combat that issue. Ray, interesting that the BDP-2 sounds much better than the BDP-1. Maybe I will buy one after I get my refund for the PS Audio DS DAC. Of course then I would have two BDP-1s and one BDP-2, and I only need two of these things. I would really suggest trying the Shunyata Alpha Digital power cord, or the higher end Sigma Digital. 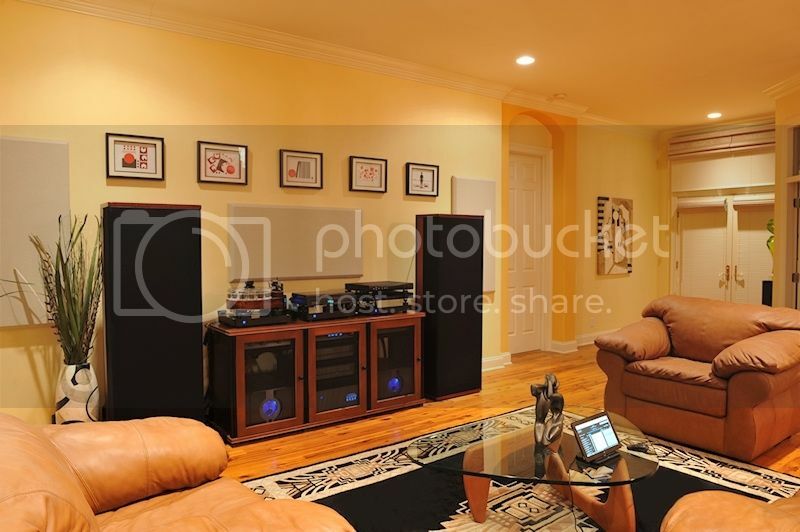 Those cords took my BDP-1s to another level. Actually, they filter out the noise the power supplies in the BDP-1 generate onto the power lines which then pollutes the other gear. It would be interesting to replace the active component based PS Audio power regenerator, and getting a passive Shunyata Triton/Typhon instead. I suspect the PS Audio, while cleaning the power, is increasing DTCD loss, and DTCD kills performance. Just a hunch though with no data to support it. It's the type of thought that is enticing and exciting, yet scary. Exactly. In addition to the transport jitter induced by the transport, you have the added detriment of mechanical noise caused by the motor, the spinning disk and the movement of the laser assembly. Adding Dynamat Xtreme to my CD 306's transport resulted in an audible improvement. I expect that the extra BDP-1 would sell quickly on Audiogon. I think I'm sufficiently recovered from the trauma of my first and only Shunyata power cord trial to allow me to try another of their products. I am skeptical that a power cord or power cord/passive conditioner combination would be sonically superior to the active nose filtration and isolation, and regenerated ac, provided by an ac regenerator. However, I'll never know until I try. I have sometimes been surprised by what did and didn't work. Dynamic Transient Current Delivery (DTCD) loss is why I cannot and do not use an ac regenerator with my Pass power amps. I also could not use an ac regenerator with my JC 1 amps. However, for my low power source components and preamps, the P10 ac regenerator provides a spectacular improvement. The P10 has a peak current capacity of 70 amps and continuous current capacity of 12 amps. The preamps and source components connected to the P10 draw a continuous current of 1.85 amps, so I have plenty of headroom. Everything connected to the P10 presents a total power load of 18% of the P10's capacity. Assuming I was experiencing some transient current limiting with my source components and preamps (which is unlikely since the P10's output impedance is 100 times lower than the wall), I expect that going to totally passive power delivery setup would introduce another set of problems due to the much higher noise content in the power. I am planning to do further evaluations of passive power conditioning for my power amps. Bear in mind that every passive device you put in series between a component and the wall increases the impedance (and reduces current delivery) at the wall. When I spoke to Pass Labs about power quality improvements for my X600.5 monoblock amplifiers, they said they have not had much success with solutions other than plugging their amps directly into the wall. For the Pass amps I use a Shunyata Cylops on each one. At first I had them plugged directly into the wall, and it sounded fine. However, after adding the Cyclops the noise level dropped (you do not realize it is there until it is gone), and the sound opened up. A very positive improvment. The Cyclops is essentially a two port Triton. Shunyata is releasing the Triton 2 in the spring, and I am in line to get my Triton 1 upgraded to a T2. I use a Silver Circle Pure Power One 5.0 power conditioner in my main system. It is plugged into a dedicated circuit. It provides power to my PS Audio DSD and transport, my Perreaux preamp and monoblocks. When I added the Pure Power One to my system my wife and I both heard a dramatic difference in SQ, which I attributed to the lower sound floor. The music was far more detailed, rich and clear at much lower volume levels than before. The Perreaux Prisma 750 monoblocks have a maximum current output of 160 amps and are rated at 750 watts RMS into 8 ohms. Maximum power consumption is 1400 watts. 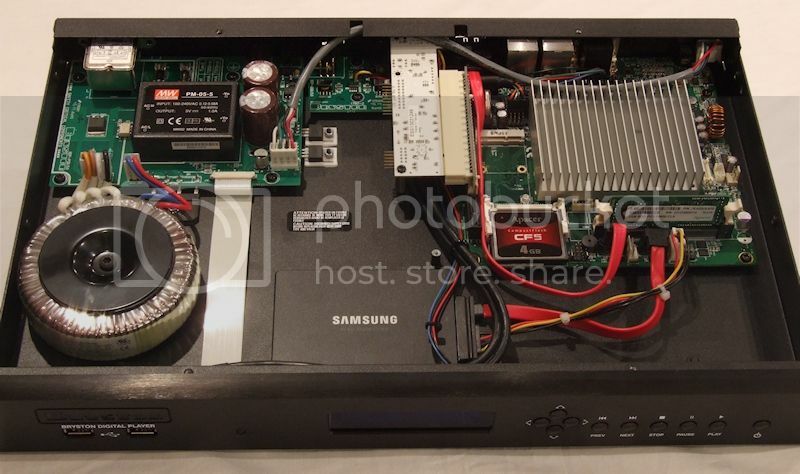 My question is whether the power conditioner could be limiting the output of the amps? Should I plug them directly into their own dedicated circuits? I'm not wanting to hi-jack this thread, but the discussion kind of turned to this topic, about which you guys -- DarqueKnight and BlueFox -- obviously have a good deal of knowledge and experience. If my questions are inappropriate for this thread, please just ignore them. We can make a new thread, but to answer your question based on my own experience, I plugged my amps into my Panamax power conditioner, and immediately the Panamax started humming, and the amps bogged down, so to speak. Nothing else was in the Panamax, and I was using the high current ports. The Panamax indicated the amps drew 7 amps at idle, but I don't know how accurate the meter is. The Cyclops is designed for amps, will handle 20 amps continuously, and was designed to have little DTCD loss. Shunyata has invented a device to measure DTCD, and to my knowledge no one else has it yet. However, the AC noise reduction more than compensates for any possible DTCD loss. This is all explained on their web site with both documentation and videos. As an engineer, I appreciate the science and technology they use, and explain. As a user I am astounded at the improvements each cable, and power conditioner, bought to the sound. Of course, there might be something better out there, but I see no reason to chase that ghost. The PP1's isolation transformer blocks a lot of power line noise, which, as you stated, resulted in a much lower noise floor. Any passive component in series with the wall receptacle, whether it is a power cord, isolation transformer, or power conditioner, will limit current. The question is, how much does the PP1 5.0 limit current and what benefits do you get for that cost? Since you are hearing a benefit, it appears the cost is justified by the benefit. Ask Pure Power about the current limiting specs of the PP1 5.0. Once you have that, ask Perreaux if they know of any serious performance limitation that the PP1 5.0 would impose on the 750s. Passive power filters can lower noise and provide more clarity and detail, but at the expense of transient speed. In other words, the music becomes clearer and more detailed, but slower in rhythm and pace. However, the reduction in transient speed may not be noticeable depending on how fast your amps are to begin with, how much energy your amps can store, and the type of music (bass heavy music is the most taxing on an amp's power supply). If your amplifier's power supply can supply music transient requirements from its energy reserves rather than frequently going to the wall, then the current limiting due to the passive conditioner is of little to no consequence. Dedicated circuits are usually a good idea for monoblocks. Ask Perreaux what they would recommend. We wouldn't be rude and ignore your questions. If you'd like to discuss this topic further we can make a new thread. The Panamax indicated the amps drew 7 amps at idle, but I don't know how accurate the meter is. If you are talking about the X600.5s, they draw about 5 amps continuous from the wall. Yes, it was for both amps. I was curious what would happen if they were hooked up to the Panamax. I appreciate your forbearance as well as your wisdom! I've got some home work to do, and DarqueKnight, I'll certainly purchase a P3 Killawatt Meter to see what my amps draw. • Integrates the output module and the sound processing section into one circuit instead of two. 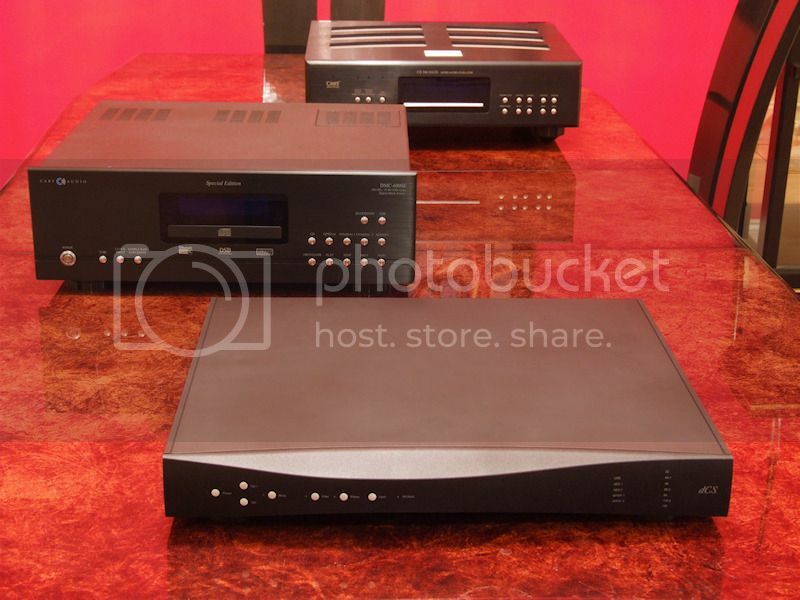 • The Bryston audio device is directly powered by the high quality linear power supply rather than the motherboard. • Outputs single rate DSD over the AES and SPDIF outputs using the DSD over PCM protocol. ""There were several important factors that led us to develop the IAD,” reported Bryston VP James Tanner. “We were confident that by eliminating three connection points, hand selecting and testing all of the components and shifting to our meticulous in-house manufacturing that we could improve transient capability while enhancing low resolution detail,” Tanner added. The Bryston IAD is also directly powered by the BDP-2’s premium quality linear power supply rather than by a power source shared with the motherboard. Another significant benefit of the Bryston IAD has been the capacity to free BDP-2 production from the constraints of third-party supplied devices. Premium quality sound cards are challenging to source, and the IAD alleviates these supply chain concerns completely." BDP-2 owners can upgrade their units by sending it to a dealer, sending it back to Bryston, or ordering a self installation kit. I'm handy with tools and modifications, therefore I chose the latter. The price is $500 plus shipping. All new BDP-2s shipped since May 2015 have the IAD. Figure 1. The IAD kit came with almost everything needed. 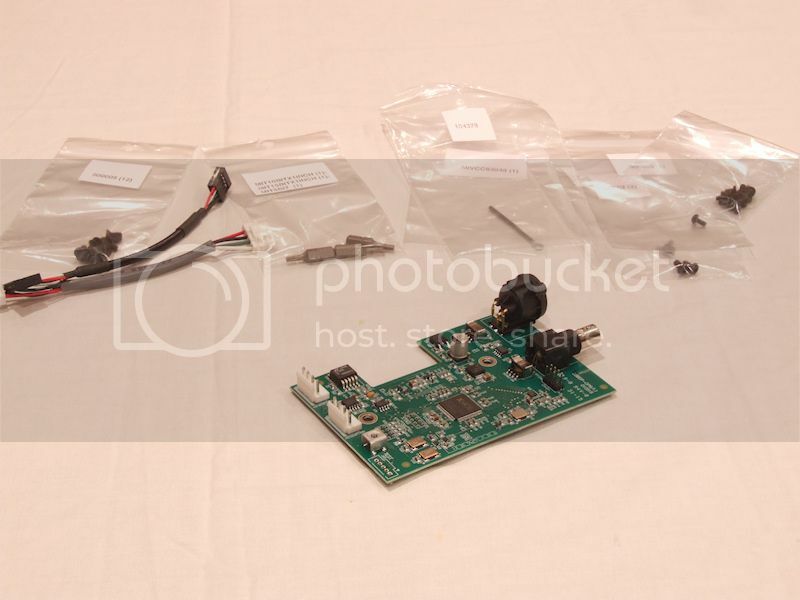 Although the kit includes T-8, T-10, and T-15 hex bits (you supply the screwdriver), the rearmost T-15 screw holding the old sound card required a 2" long bit. Fortunately I had one on hand. Figure 2. There is always one screw that has to be different! knew about the one screw in the rear that required a longer T-15 bit to reach. Figure 3. 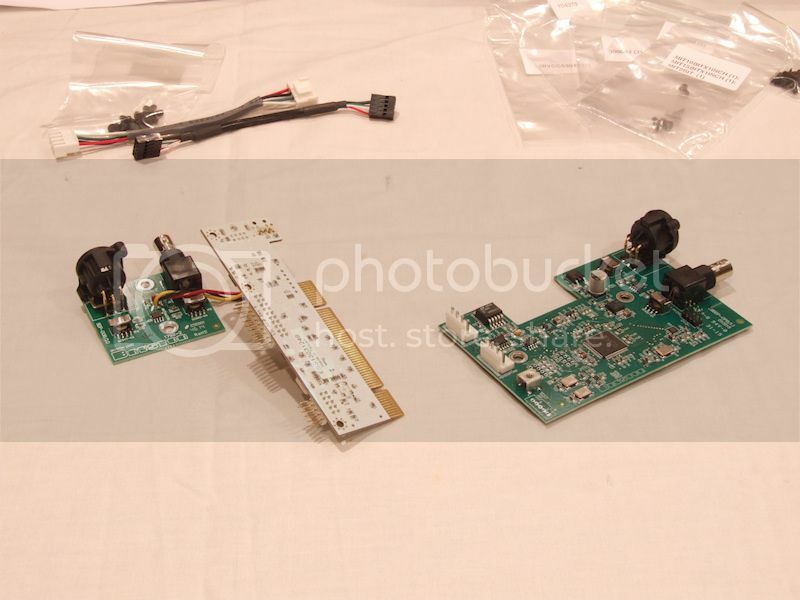 Original [email protected] sound card on left and IAD sound card on right. 1. There was more overall clarity and detail. 2. Bass performance was the greatest area of improvement. There was more bass detail, bass articulation, bass weight, and more tactile sensation through the floor, seat, and against my body. 3. Music sounded louder (lower noise floor) and "faster" (better transient response). 4. There was more crackly edge on singer's voices. 5. The "reedy" edge on saxophone notes was more defined and detailed. 6. The sense of depth and stereophonic holography was enhanced. Interestingly, I never had/have an issue with muted song intros or difficulty locking onto the next song's different sampling rate with the BDP-2 and Cary CD 306 Pro Version SACD player combo, nor with the BDP-2 and Cary DAC-100 combo in my office system. Prior to the installing the IAD card, the order of sound quality was SPDIF, AES, USB. This was with the BDP-2 paired with the DMC-600SE. With the BDP-2/CD306PV combo, the order of sound quality was/is SPDIF, AES. With the upgrade IAD card, the order of sound quality (BDP-2/DMC-600SE combo) is AES, SPDIF, USB. With the BDP-2/CD306PV combo, the order of sound quality is AES, SPDIF. With the office system (BDP-2/DAC-100 combo), the order of sound quality is USB then SPDIF . I have an IAD card on order for the office BDP-2. The DMC-600SE only does DSD via USB. Therefore, I am not able to evaluate the new sound card's DSD output over its AES and SPDIF outputs because I do not (yet) have a DAC that accepts DSD over PCM via its SPDIF or AES inputs. However, that should change next Monday if FedEx delivers my long-awaited dCS Debussy DAC as scheduled. 1. Comparing the Debussy to the DMC-600SE and the CD 306 PV. 2. Comparing DSD sound quality over the Debussy's USB, SPDIF, and AES inputs. 3. Comparing the sound of the Debussy with and without the dCS Puccini word clock. The DMC-600SE is not compatible with the Puccini word clock. 4. Another round of digital cable testing. Sounds like your in for a great holiday week. Drooling on hearing the results of the Cary, both of them, against the Debussy. Keep the Turkey gravy off the knobs bro, enjoy. Drooling on hearing the results of the Cary, both of them, against the Debussy. The short answer, based on less than 24 hours of listening, is that the DMC-600SE will be going up for sale and the CD 306 Pro Version will be kept as a backup DAC. Neither of the Carys were "embarrassed" by the Debussy, but the Debussy is more detailed, has a more holographic sound stage, has a deeper sound stage, and produces more tactile sensation. The Debussy's clarity and detail were further enhanced by the dCS U-Clock master clock ($5,500). I catch myself foot tapping and "dancing" in my listening seat to a much greater degree with the Debussy and Debussy/U-Clock combination. It will be interesting to see if, and by how much, farther the performance gap widens over the next few weeks. 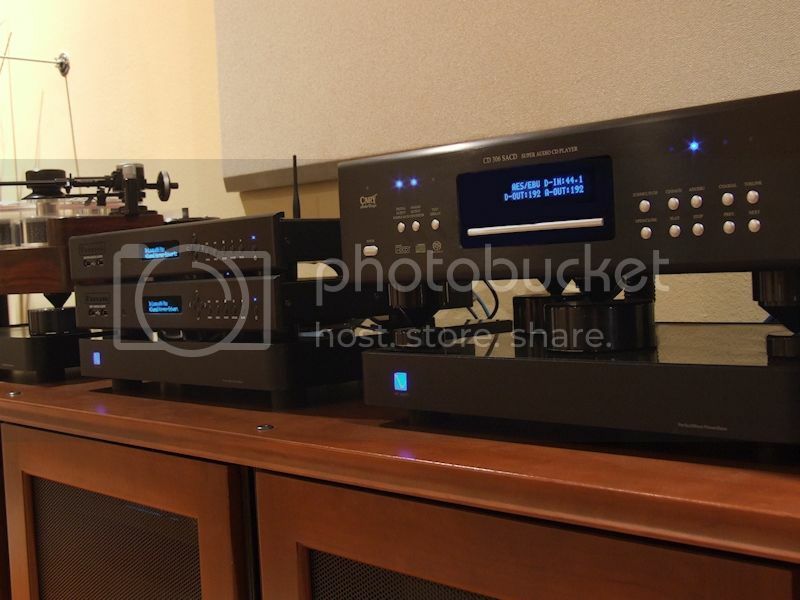 Front to rear: dCS Debussy DAC ($11,500), Cary Audio DMC-600SE ($8,000), Cary Audio CD 306 Professional Version ($8,000). Interesting Ray, I want to hear more about the DCS as a stand alone without the clock vs. the Cary also without the clock. The clock and the DCS add up to 17k for digital conversion, hardly chump change. The Cary pro though I've seen used in the 3500 range and for the money seems like a top contender. $3500 for a used CD306 Pro is an exceptional deal considering the performance you would get. Bear in mind that my CD 306 is tweaked with extensive internal vibration abatement (Dynamat Xtreme) and HiFi Tuning audio grade fuses. These two things narrowed the performance gap between it and the DMC and the Debussy. The Puccini clock does not work with the Cary DMC-600SE, even though the DMC has a word clock input. The CD306 does not have a clock input. Therefore my comparisons of the Debussy to both Carys will be done without the clock. 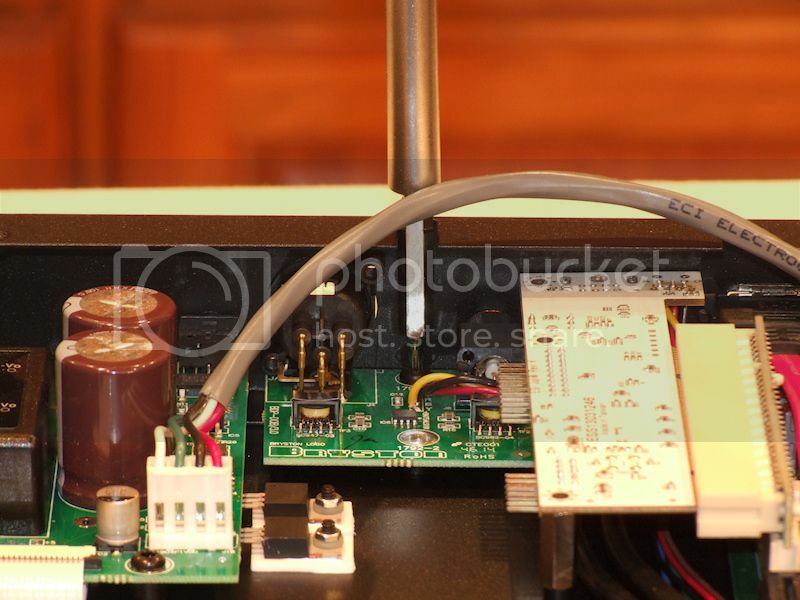 The Dynamat is not a bad idea but the better method is to release the transformer and the PCB board from the chassis. This is extremely easy, get the appropriate size torx and turn the screws. They are fastened way to tight. Good for shipping but bad for playback imo. Easily retuned to factory tension by tightening it up. Do it on both BDP and BDA. It will give you more palpable 3D like the Debussy. I have the transformer screws out on mine. A fanatical as I am about vibration abatement, I skipped treating the transformers of my BDP-2s and BDA-3 because I did not hear a difference or improvement after treating the chassis with Dynamat Xtreme. I did not hear a difference or improvement with loosening the PCB screws of my BDP-2s or BDA-3, but there was a sonic improvement after loosening the transformer screw, and further improvement after treating the transformers with Dynamat Xtreme. Figure 12. BDP-2 in two channel system with BDR cones, BDR pits, and PS Audio PowerBase isolation platform. 1. PS Audio PowerBase isolation platform - increased image weight, bass weight. was placed on top of the BDP-2 to couple it to the PowerBase. 3. Black Diamond Racing Mark 4 carbon fiber cones - increased clarity, image weight, bass weight. 4. Black Diamond Racing Jumbo Pits carbon fiber pucks - increased clarity, image weight, bass weight. 5. Dynamat Xtreme - no sonic performance improvement, stopped cover from ringing when thumped. Figure 13. The BDP-2's transformer pad was replaced with a pad of Dynamat Xtreme. Figure 14. The BDP-2's transformer was treated with a 3/4" wide strip of Dynamat around the perimeter and a 3/4"
wide circle of Dynamat on top. Figure 15. Treated transformer reinstalled. Listening was done as an average sound pressure level of 85 dB-C, measured with a Radio Shack analog SPL meter. E. S. Posthumus - "Isunova Pi" - the intro drum beats had a more weight and tactile sensation. The counterpoint drum sequence from 1:16-2:03 had more finely detetailed trailing edges after each beat. There was more vibration coming through the listening seat and armrests. There was more weight to images at the sides of the stage. Sheila E - "Train A Goin'" (This is an intro track which consists of the sound of a locomotive moving from left to right across the sound stage.) - there were more sharply defined ambient echoes around the drum beats and drum beats had more weight and tactile sensation. The "choo choo" sounds of the locomotive's exhaust had sharper definition and a more airy sound. Sheila E - "Bahia" - more weight and body in electric piano notes, more definition and serrated growl in electric bass notes. Improvements which came from loosening the BDP-2's transformer screw were limited to clarity, detail, tactile sensation, and image weight. Treating the transformer with Dynamat Xtreme further enhanced the prior improvements and brought improvements in spatial performance. Music was apparently louder, but not measurably louder, which was evidence of the noise floor being lowered further. E. S. Posthumus - "Isunova Pi" - more bass slam, there was a subtle, growly undercurrent of bass at the rear of the sound stage that I had never noticed before. There was an enhanced sense of space around images. There was a more thunderous quality to the intro bass beats. There was more weight to images at the sides of the stage. Sheila E - "Train A Goin'" - there were more sharper definition in the ambient echoes around the drum beats. Drum beats had more weight and tactile sensation. The "choo choo" sounds of the locomotive's exhaust were louder and had sharper definition and a more airy sound. There was more definition in the sound of the metal wheels on the track. The most surprising thing, which was something I did a quadruple-take of, was the train ending at a point much further to the right. the outside edge of the right speaker. Sheila E - "Bahia" - more weight and body in electric piano notes, electric bass notes had more definition, fast and nimble articulation, and serrated growl. The bird chirps at the beginning were two feet further back and the ambient echoes surrounding the chirps was more sharply defined. There was more clarity, detail and weight in a shaker percussion instrument in the center of the stage. The office system was evaluated using the same three music selections that were used in the home two channel system evaluation. Loosening PCB screws had no sonic effect on the office BDP-2 and BDA-3. I heard the same basic improvements in the office system as with the two channel system, but to a lesser degree due to the office system's lower resolution amplification, lower resolution cables, bookshelf speakers with limited bass response, and small room. The sound stage already extended the entire 11' width of the room, and I didn't hear any sound stage improvements in the lateral dimension. The enhanced depth heard on "Isunova Pi" and "Bahia" were duplicated in the office system. The office system's sound stage extends several feet beyond the wall behind the speakers. I gave some thought to treating the transformers of the dCS Puccini U-Clock and dCS Debussy DAC in my two channel system, but dCS had already applied vibration damping measures to those transformers. 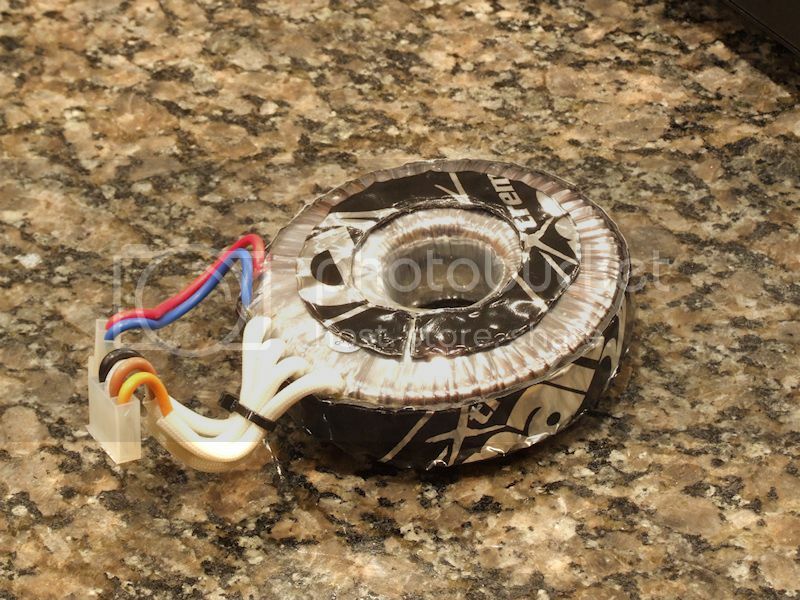 The U-Clock has a center-potted toroidal transformer with a resin coating over the windings. 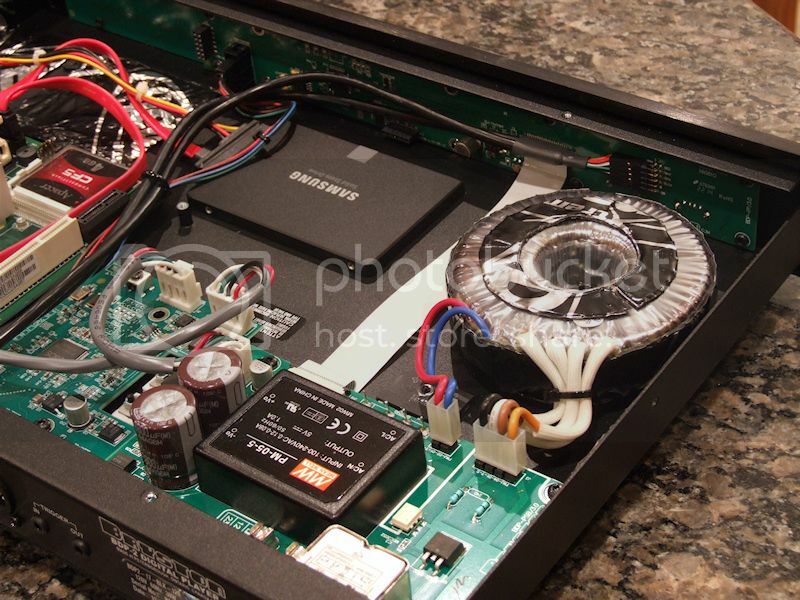 The Debussy has a toroidal transformer enclosed in a resin enclosure. In my two channel system, I continue to be amazed by the improved spatial performance, bass slam, and clarity brought by this simple transformer modification of my BDP-2. I expect things to improve further over the next 100 hours since a component has to break in again after vibration abatement treatment. Many thanks, DK, will give those tweaks a try. Might have to start looking for a BDP-2; but I'd feel better about doing so if they could wrap up Roon certification. Doesn't seem to be a high priority right now. 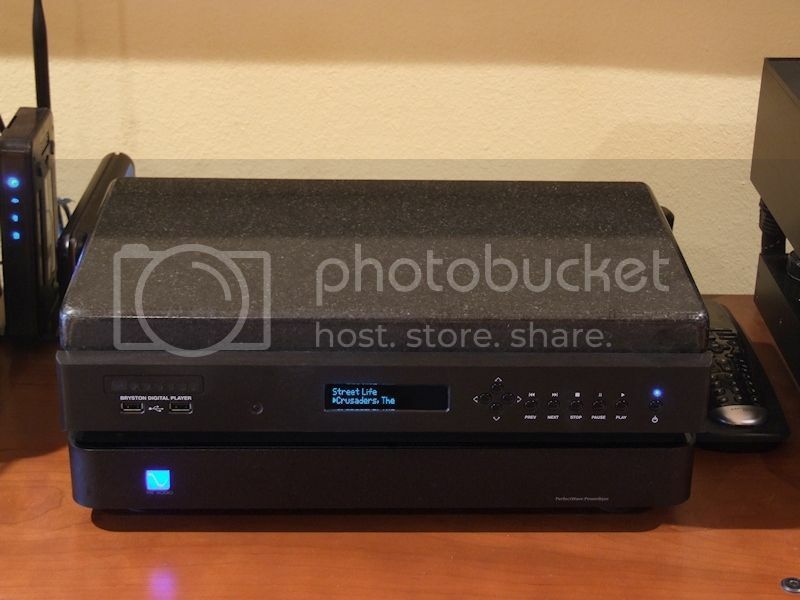 If using the Bryston without a network connection (only the Bryston connected to a DAC and an external hard drive) is there any way to get to the user interface other than through the front panel controls, such as with a laptop or iPad? Yes, you can use a direct Ethernet cable connection between your computer and the BDP-2. Of course, this presents some logistics problems if you want your laptop or iPad to be across the room. I have my BDP-2 connected by Ethernet cable to a wired/wireless access point. My tablet computer at the listening position is wirelessly connected to the access.